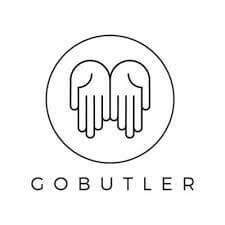 GoButler, the text message based 24/7 on-demand concierge service, announced on Thursday that it has raised a $8 Million funding round led by General Catalyst. Slow Ventures, Global Founders Capital, Lakestar, BoxGroup, Cherry Ventures, and Sound Ventures also participated in this round. The company’s website boasts the service is “100% free” and customers will pay the exact same amount as if they had ordered themselves. While this takes one revenue channel off the table, it is possible the service will be paid directly by merchants looking for preferential placement/suggestion by your butler. GoButler is the latest in a slew of on-demand startups providing another layer of service on top of existing providers. Another startup called Magic captured the imaginations of users recently, though they have yet to announce a funding beyond their initial $120K of seed backing from Y Combinator and are rumored to have raised $12 million in a round led by Sequoia Capital in March. This space heating up and other services like Be Lazee, Sherpa, YesBoss and ASAP are also early contenders in this space, and WeChat also recently announced their own personal secretary assistant called WeSecretary. According to data compiled by Mattermark, the median series A round raised in 2015 year-to-date is $5.6 million, however GoButler was able to command a 43% premium above that figure in this financing. Within the New York region, startup Series A rounds in 2015 year-to-date have been $8.1 million on average, and $6.5 at the median size. According to publicly available social media profiles, the company currently employs 34 people. Learn more about GoButler with free trial of Mattermark Professional. Research important facts about startups including funding history, historical employee counts, web traffic, social media engagement, competitive analysis and much more.